Exam dates announced for MBBS, BDS and Paramedical courses affiliated to RGUHS Karnataka for 2011. Home > > Examinations Exam dates announced for MBBS, BDS and Paramedical courses affiliated to RGUHS Karnataka for 2011. 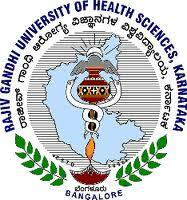 Students and institutions affiliated to Rajiv Gandhi University of Health and Science(RGUHS) karnataka, have been notified about undergraduate exam dates to be held in December 2011. The courses for which exams are held for MBBS, BDS and other Paramedical courses. This article is about notifying the exam dates for Medical, Paramedical and BDS courses from Rajiv Gandhi University of Health and Sciences(RGUHS) Karnataka. This year the university have announced the exam dates more than 2 months earlier in order to alert to cover all portions by the teaching staff and for students to be better prepared for exams by starting to study seriously. The Start date for the exams has been decided to be on December 20th 2011. Apart from the this, it is mandatory for all the colleges to upload the internal assessment marks of all students on the official RGUHS website a month earlier from the start date of exams. Which means all the internals should be conducted and marks uploaded on or before 20th November 2011. However the exact time table for different medical courses is yet to be announced. This post will be updated as soon as the time table is announced. Please note that these exam dates are only for medical colleges within Karnataka. Start preparing seriously and thoroughly because the correction is going to be strict as always and Must be prepared fully to get passing marks atleast.